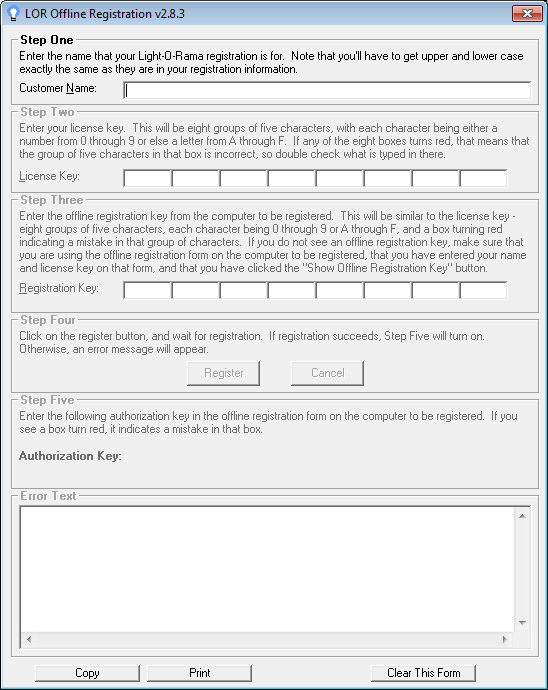 The Offline Registration Utility is a program that you can use to help register the Light-O-Rama Software Package on a computer which is not connected to the internet. It must be run on another computer, which is connected to the internet. If you do not have another computer which is connected to the internet, you can still register an offline computer by calling Light-O-Rama. Please see the help file page "Registering Offline" for details.